Photo courtesy of Elias Lefas, Santorini Island, Greece. 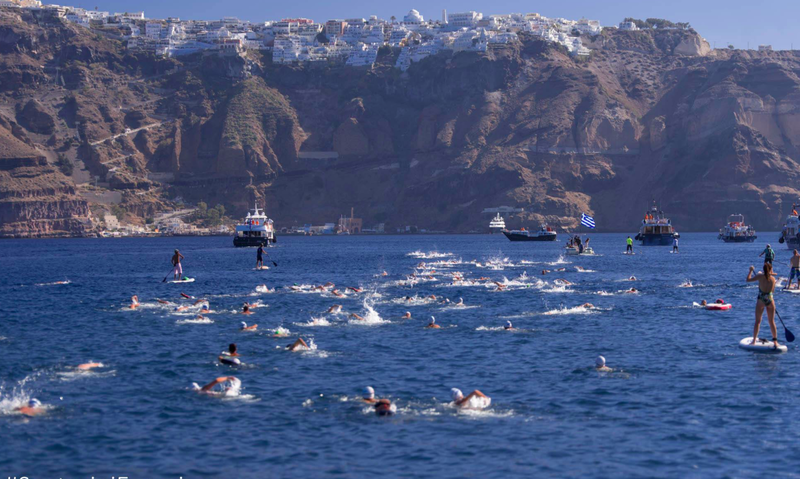 The 2.4 km Santorini Experience open water swim will be held between October 7th on Santorini Island in Greece. Swimmers will head from the volcano to the old port of Fira in the expected sea water temperature of 20-22°C. A low-cost early bird registration package is offered for 20€ by May 31st [see here]. In 2017, athletes from 40 countries participated. In 2018, the event is part of the Global Swim Series with 131 other series races - and may grow even larger in its 4th edition. For more information on the multi-sport event, visit www.santorini-experience.com.